Bu çalışmada buji ateşlemeli bir motorda n-propanol ve izo-propanol alkolleri kullanımının motor performans ve emisyonlarına etkisi incelenmiştir. Deneyler de B100 (%100 benzin) 20 n-pro (%80 benzin+%20 n-propanol) ve 20 izo-pro (%80 benzin+%20 izo-propanol) yakıt karışımları kullanılmıştır. Deneyler motor tam gaz konumunda, altı farklı motor devrinde (yükünde) (1500-4000d/dk) yapılmıştır. Performans sonuçlarına göre, izo-propanol alkolü ilavesi ile motor momentinde ve motor gücünde önemli bir değişiklik görülmemiştir. Fakat özgül yakıt tüketimi izo-propanol alkol kullanılmasıyla %2,23 oranında artmıştır. Emisyon sonuçlarına göre, HC ve CO emisyonları alkol ilavesi ile birlikte sırası ile yaklaşık %10,52 ve % 4,41 azalmıştır. Öte yandan CO2 ve NOX emisyonları sırası ile yaklaşık %17,38 ve %15,24 oranında artmıştır. In this study were investigated that the effect on performance and emissions of spark ignition engine by used n-propanol and iso-propanol alcohol. In experiments were used B100(100% gasoline), 20 n-pro (80% gasoline+20% n-propanol) and 20 iso-pro (80% gasoline+20% iso-propanol) fuel blends. Experiments was performed that engine full throttle in the position and six different engine speed (1500-4000 d/min). According to performance results, was not observed that significant a change on engine moment and engine power with add iso-propanol alcohol. But specific fuel consumption was increase that 2.23% rate with using iso propanol alcohol. According to the emissions results, HC and CO emissions were reduced with add alcohol about %10.52 and % 4.41 respectively. On the other hand, NOX and CO2 emission increased about %17.38 and %15.24 respectively. Veloo P S., Egolfopoulos F.N. 2011. Studies of n-propanol, iso-propanol, and propane flames. Combustion and Flame, 158(3): 501-510. Li Y., Meng L., Nithyanandan K., Lee T.H., Lin Y., Lee C.F., Liao S. 2016. Combustion, performance and emissions characteristics of a spark-ignition engine fueled with isopropanoln- butanol-ethanol and gasoline blends. Fuel 184: 864-872. Çelik B.M., Şimşek D. 2014. The determination of optimum injection pressure in an engine fuelled with soybean biodiesel/diesel blend. Thermal science, 18(1): 229-238. Tehrani, N. F., Aznar, J. S., Kiros, Y. 2015. Coffee extract residue for production of ethanol and activated carbons. Journal of Cleaner Production, 91: 64-70. Bhutto A.W., Harijan K., Qureshi K., Bazmi A.A., Bahadori A. 2015. Perspectives for the production of ethanol from lignocellulosic feedstock–A case study. Journal of Cleaner Production, 95, 184-193. Elfasakhany A. 2016. Engine performance evaluation and pollutant emissions analysis using ternary bio-ethanol-iso-butanol–gasoline blends in gasoline engines. Journal of cleaner production, 139: 1057-1067. 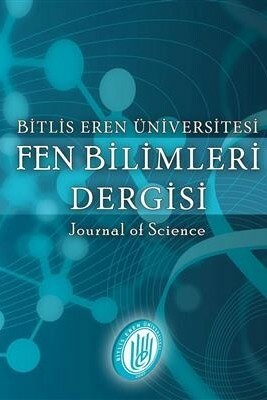 Çelik M.B., Özdalyan B., Alkan F. 2011. The use of pure methanol as fuel at high compression ratio in a single cylinder gasoline engine. Fuel, 90(4):1591-1598. Shen, C.R., Liao, J.C. 2008. Metabolic engineering of Escherichia coli for 1-butanol and 1-propanol production via the keto-acid pathways. Metabolic engineering, 10(6): 312-320. Atsumi, S., Liao, J. C. 2008. Directed evolution of Methanococcus jannaschii citramalate synthase for biosynthesis of 1-propanol and 1-butanol by Escherichia coli. Applied and environmental microbiology, 74(24): 7802-7808. Altun Ş., Öner C., Fırat M. 2010. Exhaust emıssıons from a spark-ıgnıtıon engıne operatıng on ıso-propanol and unleaded gasolıne blends. Technology, 13(3): 183-188. Mourad M., Mahmoud K.R. 2018. Performance investigation of passenger vehicle fueled by propanol/gasoline blend according to a city driving cycle. Energy, 149: 741-749. Li Y., Meng L., Nithyanandan K., Lee T.H., Lin Y., Chia-fon F.L., Liao S. 2016. Combustion, performance and emissions characteristics of a spark-ignition engine fueled with isopropanol-n-butanol-ethanol and gasoline blends. Fuel, 184: 864-872. Masum B.M., Masjuki H.H., Kalam M.A., Palash, S.M., Habibullah, M. 2015. Effect of alcohol–gasoline blends optimization on fuel properties, performance and emissions of a SI engine. Journal of Cleaner Production, 86: 230-237. Gravalos I., Moshou D., Gialamas T., Xyradakis P., Kateris D., Tsiropoulos Z. 2013. Emissions characteristics of spark ignition engine operating on lower-higher molecular mass alcohol blended gasoline fuels. Renewable Energy, 50: 27-32. Ward D.E. 1993. Trace gasses and particulate matter from fires-a review. In Background Paper for Proceedings of the Victoria Falls Workshop, June (Vol. 2). Wu C.W., Chen R.H., Pu J.Y., Lin T.H. 2004. The influence of air-fuel ratio on engine performance and pollutant emission of an SI engine using ethanol-gasoline-blended fuels. Atmospheric Environment, 38(40): 7093-7100. Yusoff M.N.A.M., Zulkifli N.W.M., Masjuki H.H., Harith M.H., Syahir A.Z., Kalam M.A., Mansor M.F., Azham A., Khuong L.S. 2017. Performance and emission characteristics of a spark ignition engine fuelled with butanol isomer-gasoline blends. Transportation Research Part D: Transport and Environment, 57: 23-38.